"Anonymity is the great hygiene." The CoBrA group was a short-lived but highly influential artist collective formed in Paris. Named for the three northern European cities that its founders originated from - Copenhagen, Brussels and Amsterdam - its approximately thirty members became known for their vigorously spontaneous, rebellious style of painting that was heavily inspired by the art of children and the mentally ill. With their intuitive methods, loose, gestural marks and strong colors, CoBrA artists have used of some of the techniques of New York School style of the same era. Yet CoBrA art is more political, and is more sensitive to the huge devastation of the European cities and people after World War II. Their democratic approach to viewing and making was inspired and further expanded what we now call Outsider Art (work made by untrained artists, especially children and the mentally ill) as a serious movement in its own right. As citizens of three cities that were formerly under Nazi occupation, one of the group's main driving forces was their desire to confront and provide a strong counterpoint to predominant western ideologies that they felt were stuck in a traumatic past - what they called "a world of decors and hollow facades." They thought post-war art movements (especially abstraction and naturalism) were far too sterile and conservative and called for an unencumbered, expressive approach that rebelled against them. Rather than looking to artworks in galleries or museums for inspiration, CoBrA artists were heavily influenced by what they called 'uncivilized' creations - embodied in children's art, works by the mentally ill, and "primitivism" (a now-outdated term that refers to the art of ancient societies in Africa and Asia). The one preceding movement that the group did consider worthy of attention was Surrealism. 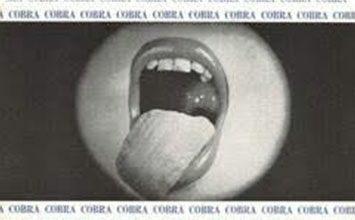 As enthusiastic advocates of spontaneity in the art making process, CoBrA artists were especially interested in pushing the boundaries of the Surrealist idea of 'automatism', a technique that required a maker to surrender all command over their art making by allowing the unconscious mind to control their hand as they worked. In many ways CoBrA can be defined by what it opposed: the ongoing legacy of classical art on the work of their contemporaries, geometric abstraction and its intense rationality, the dictatorial approach of the Social Realists, and what they saw as the limiting, bourgeois attitude of the conservative French institution, the Ecole de Paris. CoBrA artists were very keen on producing collaborative artworks - including murals, prints and publications - as a way of expressing their disdain for individualism and, by extension, the notion of the solo, genius artist (one of the many aspects of the traditional western art canon that they objected to). This in turn was connected to their strong Marxist beliefs, though none of the group shared the political left's fondness for theorizing. Officially formed in a Parisian café on November 8th, 1948 in a meeting organized by Asger Jorn, CoBrA artists came from three countries - Denmark, Belgium, and Holland - that had been isolated from each other for years under Nazi rule. The group of painters, sculptors, and poets had an unusually large number of founding members, generally agreed to be: Asger Jorn, Carl-Henning Pedersen, Karel Appel, Cornelius Guillaume Van Beverloo (known as Corneille), Christian Dotremont, Constant Anton Nieuwenhuys (Constant) and Henry Heerup. As with many of his fellow CoBrA members, Karel Appel took deep inspiration from the violent events of the Second World War. As part of a series of works Appel called his Objets Poubelles (trash objects), he made a relief painting from pieces of discarded wood and a found window shutter that portrays the smiling yet grief-stricken faces of a group of children abandoned after the war. The title has two meanings in its original Dutch - it can alternatively be translated as 'begging children'. The piece's emotive content, its use of found objects and loose, childlike feel offered a distinctive counterbalance to the perceived sterility of conventional Western art shown in the vast majority of museums at the time. As a declared Marxist, one of Appel's missions was to confront national discomfort about recent events head on. In The Red Ship, Carl-Henning Pedersen uses simple, childlike strokes in primary colors to depict a larger than life character in the foreground, a swaying palm and a rocking red ship - all typical Pedersen motifs inspired by symbols from folklore. The self-taught painter cultivated in an intentionally 'naive' style, and worked on his canvasses rapidly and spontaneously - a result of his close study of the distinctive techniques used by fresco painters in medieval Danish churches. Carved from a block of granite and painted with a simple red 'mouth', Le Museau Rouge was heavily inspired by the ancient runic stones of the Vikings. Like many of Heerup's sculptures, this piece is intentionally ambiguous, sitting somewhere between a reclining female form and a roughly hewn, prehistoric menhir. His sculptural technique was more inspired by the ancient than the modern - his professors at the Royal Danish Academy of Art had been critical of what they viewed as his unsophisticated, outdated carving method inspired by the ancient Egyptians. The simple ornamentation lightly scrawled into the stone to emphasize the physicality of Le Museau Rouge's original granite block is also trademark Heerup, who was constantly determined to stay true to the integrity of his materials by retaining their original shapes. In this painting the Dutch artist known by his nickname, Corneille, depicted a nighttime celebration in a riot of color and form. One of Corneille's best-known paintings in his native Holland, Fête Nocturne was a prime example of his ability to take familiar subjects (people celebrating, a landscape) and present them in a fresh, energetic way - so achieving the CoBrA's stated desire to create art that everyone could connect with. The curved forms used to loosely depict human heads and playful, letter-like marks to render faces in Fête Nocturne were especially reminiscent of the work of Swiss Expressionist Paul Klee. Corneille, who described himself as "a painter of joy", often portrayed moments of togetherness in an intentionally childlike style. The artist spent a considerable amount of time in various regions of Africa just before and during the CoBrA years. He described experiencing a "sensation of marvelous accord with the universe" while living among indigenous people there that proved highly influential on the tone and developed symbolist forms he would later quote in paintings such as this. The drawings that make up Les Transformes collection present the forms of letters and words in a playful style that dances around the page use a broad range of colors and often involve spontaneously painted characters alongside the words. Algerian artist Jean-Michel Atlan and Belgian artist, poet, and essayist Christian Dotremont painted one of several series of these peintres mots (word paintings) in a flurry of collaborative activity in what became known as 'The CoBrA House' on the Rue de Marais in Brussels. Dotremont had particularly close ties with the Surrealists, and these works had grown out of his responses to the earlier group's Peintres-poesies. These collaborative pieces embody one of CoBrA's key precepts - their belief that the final creative product and a democratic process were more important than any one ego. "It required a rapport between artist and writer," Dotremont described, "sometimes the writer took the first step, another time the painter did...we gave each other inspiration and released each other's fantasies." The fourth in a series of seven paintings and prints completed during the CoBrA years, this lithograph print is typical of Danish artist Asger Jorn's distinctive, spontaneous style, here executed in a limited palette of green, black, blue and white. Strange, scribbled characters with multiple eyes, lizard-like creatures and his trademark 'wheel of life' in the scene's 'sky' all combine to create a heady vision of the mythical world of Jorn's construction. The techniques used to create On The Silent Myth were heavily influenced by the automatic works of the Surrealists (especially Andre Masson), which Jorn had seen while living in Paris in the 1930s, as well as by his longstanding interest in traditional folkloric art. Jorn thought that "the relation between visual art and the narration of myth must be silent", hence the series' title. He also saw the seven works as the culmination of all he had learned as an artist up to this point, calling it "the settlement with my past life".